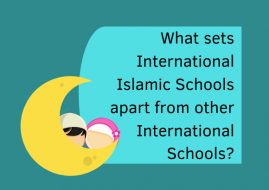 Lets look into the difference between these two internationally recognized programmes, perhaps the most popular options in Malaysian International schools: the IB (International Baccalaureate) and IGCSE (International General Certificate of Secondary Education). Much debate has been carried out between the two systems. IB is famous for positioning itself as an education framework as opposed to IGCSE which is a school curriculum system. We have compiled the thoughts of educators, policy makers, parents and students in a side-by-side comparison so Malaysian parents may have a better understanding of the two and will be able to make the best informed choice regarding this aspect. Do take note that these are the personal opinion of individuals and may not reflect the preference of the SchoolAdvisor's team members. 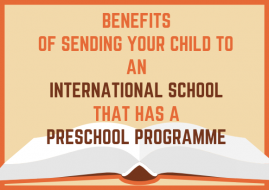 International Baccalaureate offers four educational programmes for children aged 3–19. There are no formal examinations set or marked by the IB. Instead the IB validates the grades of final-year students in schools that request this service, and issues certificates to those students who reach a required standard. Cambridge International Examinations (CIE) are a provider of international qualifications, offering examinations and qualifications in more than 160 countries. IGCSE is the international variant of the British GCSE qualification for an international student body at a secondary level. It is a qualification based on individual subjects of study, which means that one receives an "IGCSE" qualification for each subject one takes. IB is an education framework and not a curriculum. The IGCSE means you're teaching to a pre-defined, country-specific, very straight-forward exam with a definite content-based goal. IGCSE prepares students for an examination and have to followed a relatively prescriptive course. 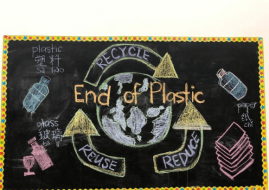 The government schools in several countries (not Malaysia) that are authorised for the PYP and MYP make the commitment to pay the fees and for the training. The four programmes (PYP, MYP, Diploma, Career-related) were designed by different people at different times for different reasons. IGCSE/GCSE is a functioning curriculum (based on the English national curriculum). MYP is a pedagogical framework designed to adapt to any curriculum that any particular school must deliver. IGSCE is an exam, normally completed at age 16, prepared for over the preceding two years. Describing IGCSE as "exam-driven" is a bit unfair. It allows for more teacher control over meeting the needs of the students, the local culture and the school's expectations. It is more student centered. Teachers are required to work together across their departments to deliver the most meaningful lessons to students. Teachers spend less time on meetings, creating resources and writing curriculum. Many IB students consider themselves alumni of not just their school, but of the IB. It authorizes/encourages more participation from schools, teachers and publisher engagement. It is most flexible where they provide schools with a framework to work side-by-side with another curriculum. A structured examination at the end of the course that allows for international comparision of ability, an additional score to prove to universities and creates a goal for students to work towards. Teachers who are accustomed to designing their own curriculum, find the IB liberating. The curriculum is designed to serve students anywhere in the world. Parents are exceptionally satisfied with it as they can see the result in their children's behaviour. The IGCSE market position is naturally dominant among the Southeast Asian countries. It should be possible to teach almost any curriculum under the IB banner. The IGCSE is cheaper and easier to implement. The goal is far more skills based than content-based. Syllabus-driven, examination-centred IGCSE is more popular among Asian parents and teachers primarily for the structure it provides. IB enables schools to function both regionally and internationally within their school districts. 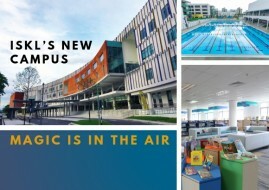 IGCSE's offer the best foundation for Diploma programmes. IB candidates who do not get 7's perform as well as top students from other national curriculum. For sponsorships, bigger companies prefer the IB and its programmes, as it attracts the global talent they seek. IGCSE's are not very rigourous and that they can get by without too much work. Students whose parents are continually moving around the world because of their profession (i.e. the expatriate nomad) will find the IB is clearly the best solution. CIE is fantastic at marketing and getting to the roots of the basics and reach of the school. The implementation of IB is almost entirely dependant on what your school and teachers put into it. IGCSE focuses on external examinations at the end of the course. IB requires more work for teachers in that every year the students' abilities must be taken into consideration and the curriculum should be re-evaluated and updated. The IGCSE curriculum never requires teachers to work with anyone outside of their department to make the material more rich and meaningful for students. The curriculum is prescriptive: you learn and you regurgitate - maybe at times you are required to think and make judgments but generally you are required to proved the "right" answer. The exam-driven systems are killing off the ability of schools to actually educate. IBO is pricing itself out of some schools with its increasingly expensive workshop fees. Schools that are used to the IGCSE only, would play safe and keep the same old wheels turning. Many universities around the world still do not acknowledge the IB Diploma as an equivalent to a local diploma. The syllabus is not really international and very UK focused. I don't need to learn the history of England in-depth. Many IBDP graduates are considered as Freshmen and not Sophomores in highly recognizable universities. There is no assessment based on coursework in IGCSE's. 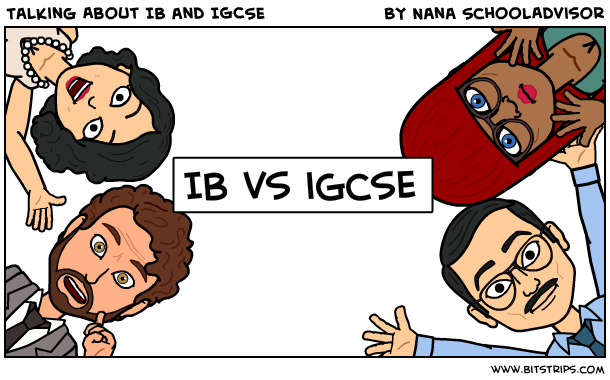 IB is fairly new and does not have the continuity to compete against IGCSE. Content based learning, such as memorizing formulae, dates, events, etc. is the stuff of the past. It can be Googled and/or taught effectively using accelerated learning techniques. There is a disconnect between the MYP and the DP programmes. The implementation lacks the rigour required to prepare students for the DP. The knowledge amount received by students from Year 0 to year 5 is not satisfactory when they get to the diploma. Attempts by the IB to stitch the PYP, MYP and DP into a seamless whole are, at best, work in progress. 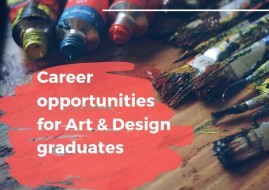 Exam based learning like IGCSE wastes a great opportunity to develop powerful connected thinking and creativity in students. IB's lack of paper-based assesment is unlikely to earn the trust of parents and students as easily as the Cambridge exam-based prescriptions. The syllabus demands that the same curriculum be delivered year after year, no matter the students' individual, cultural or collective needs. "IGCSE followed by the IBDP is the BEST combination!" "If the IBO simplified the program and made it easier to work with in conjunction with some exam-based syllabuses (like Cambridge), then I would be its strongest supporter!" "Enthusiastic, skilled and committed teachers matter far more to me than the programme." "According to IBO schools can continue MYP with IGCSE. There are two choices, one is marrying MYP and IGCSE and have personal projects by the end of grade 10 and secondly, following MYP till grade 8 and have personal projects by end of grade 8 and have IGCSE independent of MYP. Both the models have been adopted by couple of schools and both have been successful." 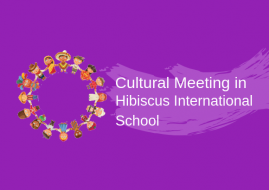 "I view IGCSE as a subset of IBMYP, as the content to fill in a framework." "One possible solution is to offer Coordinated Sciences, Maths and English as IGCSEs, going pretty light on their MYPness, and then run the other subject areas as full-on MYP offerings. I'm sure some in the IB wouldn't approve but I think this offers the necessary balance between external exam rigor (great for DP preparation) and the philosophical strengths of the MYP." "The open-mindedness that we value so much should allow us to at least give us the food for thought to look at a range of educational programmes and get the best out of any of them. There's no perfect solution (yet)." Are learning centres able to provide my child a holistic education? We'll send a list to your inbox, once a week. Subscribe now!